We are happy to share with you the third collaborative edition of the Resilience newsletter to present the work of European-funded projects working towards the shared objective of building resilience in Europe. Read the newsletter at http://smr-project.eu/news/newsletter/2018/nl3/. The Norwegian city of Kristiansand suffered from devastating flooding in autumn 2017. Lessons from the floods and participating in the European project Smart Mature Resilience (SMR) are putting the municipality of Kristiansand on the right track towards increased resilience to disasters and crises. "What does the word ‘resilient’ actually mean?” The Mayor of Kristiansand Municipality, Harald Furre and the municipality’s Emergency Response Manager Sigurd Paulsen have been working closely on the SMR project and on the concept of resilience, which is a new concept in the Norwegian language. “In everyday speech words such as robust, durable or resistant are probably the best synonyms for ‘resilient’. However, we know that these words do not cover the definition of ‘resilient’ as applicable to the Smart Mature Resilience project,” explains the Mayor, who believes that beyond traditional civil protection, real resilience means getting better at protecting lives and infrastructure. The “once-in-500-year” floods that hit southern Norway in October 2017 were caused by two fronts of torrential rain in three days. Mayor Furre explains that most of the municipality’s rivers and streams burst their banks. Two major rivers, the Otra and Tovdalselva, flow through the municipality of Kristiansand. The River Tovdalselva is an unregulated watercourse and rose more quickly than the Otra. In a matter of hours several residents had to evacuate themselves and their animals as water breached homes and outbuildings in the middle of the night. A couple of weeks later, once the floods had receded, the Mayor visited the affected area with the King of Norway, Harald V.
“Norway’s royal family are extremely caring people with a great commitment to the community. When the King saw pictures of the floods in the media he quickly decided to visit the affected area to talk with the residents. We were met by caring and compassionate fellow human beings who had looked after each other and were in good spirits despite having lost house and home when the river burst its banks. The King stated he was particularly pleased that no lives were lost in the floods, as are we all,” commented Mayor Furre. “Norway’s Minister of Local Government Jan Tore Sanner and Minister of Petroleum and Energy Terje Søviknes visited the flooded areas and those affected immediately after the floods, and witnessed the major material damage first-hand. A total of 186 claims were registered with insurance companies in the municipality of Kristiansand alone. 89 per cent of these, with a value of NOK 82 million, were flood-related. The River Otra is well regulated and Agder Energi’s emergency response team were able to slow the water flow by as much as 30–40 per cent. Without their efforts, the damage would have been much greater,” explains Mayor Furre, who points out some of the challenges that the municipality is more aware of following the floods. “Many existing homes, businesses, road networks and electricity and fibre cables are in areas already at risk of landslides or flooding. While we can use the Norwegian Planning and Building Act to protect new areas, or areas that are changed as a result of rebuilding or new regulations, it’s more difficult to change things in already vulnerable areas. People don’t generally plan for once-in-500-year floods,” explains the Mayor, and emphasises that Kristiansand has a good emergency response team and is adept at handling undesired incidents. “But we can always improve,” he says, before adding that Kristiansand is currently collaborating on the SMR project as well as with other authorities and organisations active within the community. The SMR project started in 2015 and is due to be completed in June this year. On 13 February, Mayor Furre welcomed delegates to the second Regional Workshop of the Smart Mature Resilience project in Kristiansand, where the city presented its progress on the SMR project tools and highlighted how Kristiansand has benefited from the project. The workshop gathered 24 participants not only from the city of Kristiansand, but also from the Norwegian municipalities of Sandnes, Søgne , Vennesla, Songdalen and the city of Linköping. Amongst others, stakeholders like the Fire Brigade, advisors from Agder Energy and the County Governor's office and the Norwegian Red Cross joined the workshop, provided feedback on the European Resilience Management Guideline and tested three out of the five tools of the SMR Resilience Toolbox (Resilience Maturity Model, Risk Systemicity Questionnaire and Resilience Building Policies Tool). The workshop focussed on the uptake of the SMR Resilience Toolbox for tackling relevant hazards for Scandinavia and Northern Europe, like extreme flooding events and their cascading effects and failure of critical infrastructure. The SMR project will share its tools and guidelines with cities in public events between now and summer 2018. 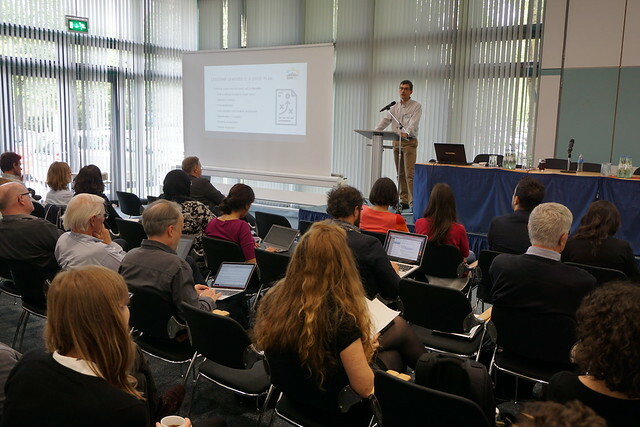 Following the Kristiansand workshop, European cities are invited to Brussels for a Stakeholder Workshop as part of ICLEI Europe’s Breakfast at Sustainability’s series, a showcase at the Open European Day at Bonn Resilient Cities on 25th April, and a series of regional clustering workshops in Spring 2018 in Kristiansand (Norway), Malaga (Spain), Berlin (Germany) and Athens (Greece). Global cities also received training on the SMR tools at the UN World Urban Forum on 9th February in Kuala Lumpur. More information and registration for the events are available at the SMR Project website. The Smart Mature Resilience team is on the road this February visiting European and global cities to train cities on the use of the tool suite that supports the European Resilience Management Guideline. 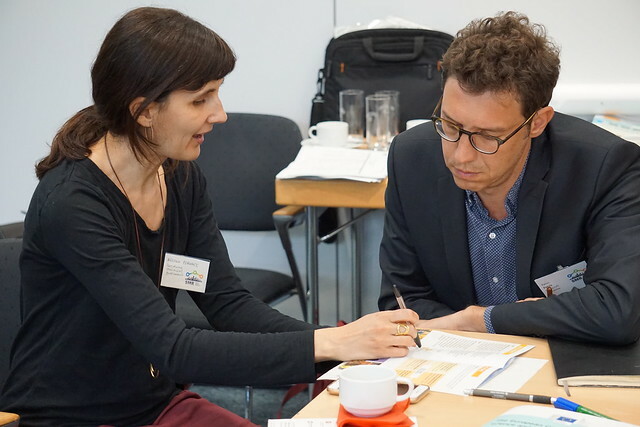 Targeted regional workshops across Europe and a training session at the UN Habitat World Urban Forum in Kuala Lumpur, Malaysia will share the tools with a new pool of cities. The series kicked off on 8th February with a Southern Europe Regional Workshop in the Tier 3 city of Malaga (Spain). This workshop was aimed at cities from Andalusia and southern Spain, who will join the Tier 4 group of cities and focussed on the uptake of SMR tools for tackling relevant hazards for Spain and Southern Europe. A training session on "Strategic planning tools for urban resilience: city-to-city exchange on local resilience planning" will include introductions to the European Resilience Management Guideline, training on the Resilience Maturity Model, Risk Systemicity Questionnaire and Resilience Building Policies tool, and will include contributions by the Tier 3 city of Malmö (Sweden), further European cities of Bonn (Germany) and Umea (Sweden). Participants will include local and national government representatives from China, Denmark, Angola, Morocco, Nepal, Ethiopia, USA, Australia, Kenya, Argentina and Yemen. The regional workshop for Scandinavian cities will be held in Kristiansand on 13th February and will focus on the uptake of SMR tools for tackling relevant hazards for Scandinavia and Northern Europe, water management, extreme flooding events and failure of critical infrastructure. Confirmed cities to date include Kristiansand (Norway), Vejle (Denmark), Oslo (Norway), Stavanger (Norway) and Malmö (Sweden). A Central Europe Regional Workshop will take place in Berlin on 15th February and will focus on the uptake of SMR tools for tackling relevant hazards for Central Europe, namely extreme weather events, failure of infrastructure, storms and flooding, getting collective feedback on the European Resilience Management Guideline and reinforcing city-to-city collaboration through co-creation activities on resilience. The workshop will be combined with a Standardization workshop organised by German standardization institute DIN on CEN Workshop 92 City Resilience Development: Operational Guidance. The final regional workshop will take place on 28 February in Athens (Greece) for the southeastern European region. This event will focus on the uptake of SMR tools for tackling heat waves and the Urban Heat Island effect in Greek cities and for the implementation of the Resilient Athens 2030 strategy, reinforcing city-to-city collaboration through co-creation activities on resilience and getting collective feedback on the European Resilience Management. The event is aimed at adjacent and neighboring municipalities to Athens and further Greek cities, with a view to potentially joining the SMR Tier 4. Following this series will be a high-level event aimed at policymakers in Brussels as part of ICLEI Europe's Breakfast at Sustainability's. Click here for further details on the SMR events and registration. Representatives of 19 cities and municipalities met in Thessaloniki on 7th November for the Smart Mature Resilience project's Stakeholder Dialogue event. 9 cities became the newest members of the SMR project, joining the project’s 7 cities, which have been working with researchers for the last 2 years to develop tools to support cities in strategically developing their resilience. The cities to join the Tier 3 group were identified on the basis of experience and knowledge of resilience development. The event marked the launch of the project's third circle of cities aiming to build a backbone of resilient cities in Europe. Four of the cities have developed this knowledge through membership of ICLEI: the Greater Amman Municipality (Jordan), Malmö (Sweden), Münster (Germany) and Rekjavik (Iceland), or participation in projects like the RESIN project (www.resin-cities.eu) in partnership with ICLEI, in the case of Greater Manchester (United Kingdom), or are part of other projects and international networks: Athens (Greece), Malaga (Spain), Stirling (United Kingdom) and Thessaloniki (Greece). 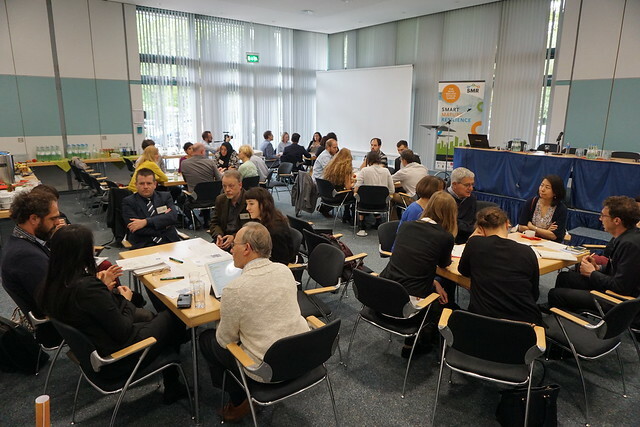 As a true dialogue, the new cities were active contributors to the event as well as receiving training from the project's Tier 1 and Tier 2 cities and research partners. Aphrodite Bouikidis, Resilient Thessaloniki, presented Thessaloniki's Resilience Strategy, presenting the city's general resilience goals: Shape a Thriving and Sustainable City, Co-create an Inclusive City, Build a Dynamic Urban Economy and Responsive City and Re-discover the City's Relationship with the Sea. Giorgos Dimarelos, Deputy Mayor for Urban Resilience and Development Planning, shared Thessaloniki’s journey towards resilience amid intense challenges, including the financial crisis, the challenge of integrating refugees, and adverse weather effects from climate change. Steps by the city council have produced positive results in creating cooperative relationships with stakeholders, establishing a promising basis for achieving the city's goals, such as tackling unemployment and re-establishing a meaningful connection between the city and its coastline. The Deputy Mayor demonstrated how the city had successfully won support from the regional government to develop the coastline area in collaboration with neighbouring municipalities. The cities of Kristiansand, Greater Manchester and San Sebastian are, like Thessaloniki, coastal cities, and each city shared their experience with working with critical infrastructure providers, first responders and citizens to deal with crisis situations caused by flooding, and to develop preparedness and resilience to flooding as part of the cities' daily work. Kristiansand and San Sebastian are applying the tools of the SMR project to conduct self-assessment and audit of the city's policies and current levels of investment in resilience, as well as considering the interdependencies of risk using the Risk Systemicity Questionnaire (RSQ). These cities are now serving as guides and peer trainers to their Tier 3 partner cities to pass on the knowledge they have developed through the SMR project. The city of Amman, Jordan, shares challenges with some European cities. The population in the city has more than doubled in the last decade due to the war in neighbouring Syria, and the municipality has been working overtime to provide support to the new inhabitants and stretch the city’s infrastructure and housing to accommodate the unprecedented population pressures. Its ICLEI member peer, Malmö, has also introduced programmes in response to refugees seeking asylum from war, and the cities could compare challenges, risks and policies that have been implemented in both cities. The event proceeded with training on the SMR City Dynamics Model. Cities were divided into groups and played the project's serious game to play in a simulation sandbox and experiment with the effects of different budget options. As budget experiments cannot be carried out in real life in cities, simulations provide a way for practitioners and decision-makers to try out different investment options in a safe environment. The game helps users to better understand the Resilience Maturity Model and to see through trial and error playing, the significant benefit of implementing policies in the order laid out in the Resilience Maturity Model. The cities participated in a training session on the SMR Risk Systemicity Questionnaire (RSQ). The participants were divided into 5 groups, with a mix of city representatives in each group. Each group was facilitated by a Tier 1 or 2 city representative who had been involved in the development of the RSQ, with support from Strathclyde or an experienced user of the RSQ. Each group addressed different topics in the RSQ: Public Unrest; Elderly; Social Cohesion; Critical Infrastructure; Climate Change – air pollution. There was a high level of debate and involvement about risk scenarios and potential strategies that could be implemented to prepare for interconnected risks. The groups were able to experience focused discussion on risk scenarios in cities facilitated by use of the RSQ. The Tier 3 cities were able to quickly understand how the tool worked and were able to use in in a trial run in practice. Some Tier 3 cities were already confident in their plans to run RSQ-based workshops locally. Clara Grimes (ICLEI Europe) trained the cities on approaches for communicating best practices for resilience in cities based on narrative methods. Effectively communicating projects and policies in story form is essential so that citizens, stakeholders, other departments of the municipality and the media can better understand and connect with a city’s aims and progress. The cities of Stirling (UK), Malmö (Sweden), Glasgow (UK), Vejle (Denmark) and Rome (Italy) then applied these methods to tell the story of their local best practices to the cities and stakeholders present at the event, including community group activities in Stirling, crisis management in Malmö, resilience education in schools in Glasgow and a programme where a design school ‘designed’ ways for severely disabled people to make meaningful friendships beyond their professional relationships with their carers. Further resilience stories are available for reference in the SMR Policies Tool. Finally, researchers from the Center for Integrated Emergency Management presented on the SMR Resilience Information Portal and how cities can pick and choose code from this portal toolbox to supplement their resilience management information infrastructure. 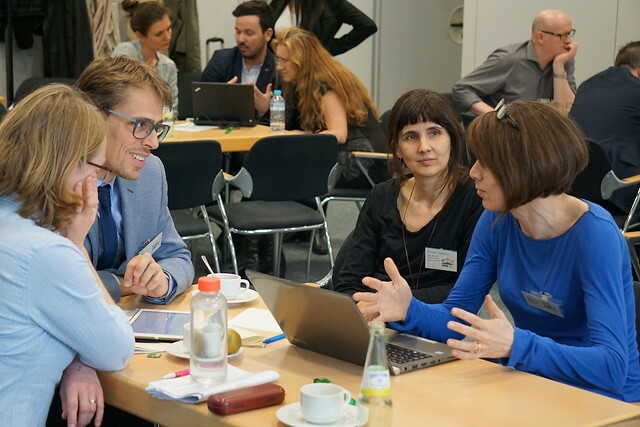 The Tier 3 programme will continue with online training webinars and an in-person Stakeholder Workshop as part of the Breakfast at Sustainability's event series in Brussels on 7th March.